Russia's computer scientist Valery Spiridonov, suffering from Werdnig Hoffman's disease, volunteers for the world's first head-to-body transplant. 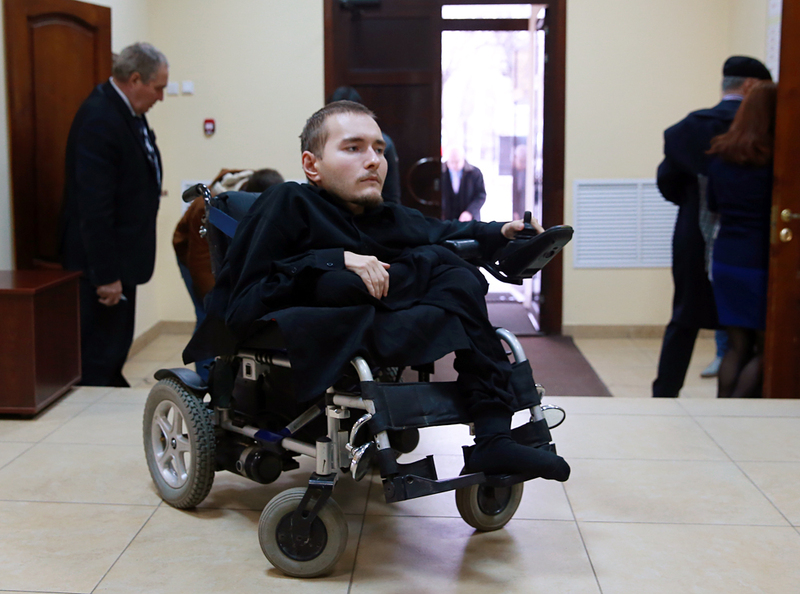 Valery Spiridonov, a Russian programmer, is scheduled to have head transplant surgery in December 2017. This unique and highly complex operation will be utilizing indigenous Russian technology and knowledge. Technologies from the Soviet era are going to help surgeon Sergio Canavero to successfully perform a head transplant operation on programmer Valery Spiridonov, who has been wheelchair-bound since childhood. According to Canavero, the success of the operation depends almost entirely on Perftoranum. This Russian-made blood substitute can help the body cope with massive blood loss when the head is severed from the body. Perftoranum was first created in the 1980s by biophysicist Felix Beloyartsev of the Russian Academy of Sciences’ Institute of Theoretical and Experimental Biophysics. It is known as “blue blood” because of its colour. Among other distinguishing features of the blood substitute are sufficient gas- and oxygen-carrying properties and a high degree of penetration to the farthest capillaries of the body. Perftoranum was suggested to Canavero by researchers from the institute where this blood substitute was developed. Now scientists are testing it in head transplant operations on animals. Vascular transplant surgeon Anatoly Troshin proposed another new method to save Spiridonov's life during the operation, should anything go wrong. Canavero and Spiridonov are now considering the application of this new method. Troshin has proposed placing the head, once it is separated from the body, into a special container that is of the size and form of an astronaut's helmet. It can then be connected to the blood-vascular system of a donor, possibly a relative of Spiridonov. "On the outside and in terms of its form, this container should be suitable for the blood donor to attach it to their body and carry it for a long stretch of time," Troshin wrote. It will create the effect of conjoined twins, and special sensors will make it possible to supply blood with immuno-suppressant drugs to protect the head. Blood processed by the head could be cleaned through a filter before it returns to the donor. Troshin has described his method not only in scientific articles, but he has already published his third sci-fi novel about organ transplantation called, "Is head transplant surgery possible and wanted?" "It is impossible to foresee a psychological incompatibility between the heads," Troshin said. "The problem can be resolved only through the numerous replacements of donors until the most psychologically compatible pair has been found." The Central Institute of Traumatology and Orthopaedics (TsITO) is conducting experiments to restore the functions of a damaged spinal cord, with the use of magnetic nano-particles. When introduced into the body and placed inside a magnetic field, these particles accelerate the splicing of damaged nerve endings. The use of nano-particles has successfully repaired the partially damaged spinal cords of rats. They are supposed to be capable of restoring mobility in a matter of several weeks. Georgy Stepanov, a professor of traumatology and orthopaedics at TsITO, has proposed the use of the patient’s own blood vessels and nerves from other tissues in his body. According to Stepanov, that would remove the problem of rejection by the donor’s body. The professor’s research team has already obtained a patent and has conducted 162 successful operations. So far, however, TsITO has not yet committed to cooperation in his case, Spiridonov said. Russian head and Chinese body? Only Vietnam, South Korea and China have, so far, agreed to be a part of Canavero’s trial experiment. No Russian clinic is prepared to accept the responsibility, and the situation is not helped by the complexity of Russian legislation. While Spiridonov prefers an operation in Russia, this type of transplant requires a body of the same race. Asian people have different skin, less hair, and their sweat glands are different from Spiridonov’s. "Neither a location, nor funding for my operation in Russia has been found," Spiridonov said. "If the operation does take place in 2017, it is likely to be in China. That country has made considerable progress in this area." Chinese scientists have conducted over 1,000 experiments on rats, monkeys and human cadavers. Spiridonov has born with Werdnig-Hoffmann disease, a form of spinal muscular atrophy. He has been wheelchair-bound since childhood. Usually, people with this condition do not live more than 20 years. Valery is now 32, however, and he cannot lift objects heavier than a mobile phone.